The Seven of Pentacles card is of course meant to symbolize a great deal of toil. It shows all of the hard work that you are putting in towards achieving the most important goals in your life. The work goes slowly and it is incredibly hard, but in the need it is worth it for the sense of satisfaction you feel when you are done. Though the man depicted on the card works very hard and is tired at the end of the day, he can come home satisfied knowing that he at least accomplished something, and it is with that same zeal that you should approach all tasks in life. 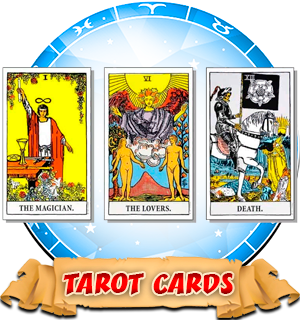 When the seven of pentacles card is placed in the area of a tarot spread which corresponds to relationships and romantic efforts, this will mean that you are moving forward. The work in the card also represents a forward movement, progression. If your relationship has been at the earliest stages up to this point give yourself just a bit more time and you and your partner will soon be getting to know each other very well. If your relationship backtracked a little bit due to something bad that happened or a mistake that was made, the seven of pentacles card means that you will soon be making up for that mistake and going ahead with the partnership in peace. Seeing the seven of pentacles where your career information is foretold will mean that you will be moving up in the ranks soon enough. You have been doing hard work lately, and your effort has been noticed by your superiors. It may come in the form of a responsibility increase, such as a promotion, or it may be a monetary reward such as a raise. It could even mean your name getting on a plaque if you play your cards right. Let your work speak for itself and don’t get greedy. As long as you adhere to these things, you will soon see much forward movement in your career. Seeing this card where your fortune regarding your health is, will mean that soon your efforts to better your overall health will be recognized and you will see yourself becoming stronger and fit. If you have been dieting and exercising in order to maintain a certain figure, this is when your efforts will finally start to pay off and you will begin to notice a big change in your outward appearance as well as the way you feel about yourself. If this card appears in the area of a spread that tells of money, then this usually means that you will be making more of it sometime soon. You will be able to afford more expensive purchases and your hard work will begin to pay off, but don’t go too crazy with your newly acquired cash, because there won’t be enough of it for you to afford to go off the deep end. Once you have some responsible practices set up, you should be ready to accept the small extra cash flow, from wherever it is going to come.